Running a business can overtake your life. Every waking moment can be ruled by your business and entrepreneurs can easily become overwhelmed by daily management issues involving employees and company aspects. Effective tools to simplify your business as much as possible are key to avoiding this scenario. The first place to focus is on management. Set specific criteria you are looking for in the hiring process, consider education level, pay and schedule needed. Have an online application form. This way you will be able to quickly weed out applicants who do not fit, saving you time. Another management time and money saver is to strengthen your supply relationships by using as few providers as possible. This will increase your purchasing power, offering you better leverage. One more idea is to arrange for your human resource functions to be outsourced. Research shows such issues take up one-third of entrepreneurs' time. A huge benefit to outsourcing is the responsibility for missing tax payment deadlines or misfiling will fall on the shoulders of the outsourced company rather than your own. Finally, reduce the number of staff meetings you hold. Make meetings effective and concise to save your own time, as well as, getting your employees back to work. Make use of technology. Scheduling is often the most time consuming issue for most business owners. To save time, use available software in order to assist you in scheduling employees. Some of these software packages will also assist in making payroll easier. Additionally, rather than micromanaging employees, many business owners are thankful to invest in time clocks. A time clock takes the babysitting out of employees, respecting their scheduled hours along with providing useful documentation. Another overall area to simplify is your marketing. The first step in this is to find out how you are doing. Have comment cards or online surveys available to your customers for feedback. Then, utilize local business to build partnerships. Start with your own customers, suppliers and vendors who are also business owners. Another idea is to cut out the middle men and meet your consumers directly. Finally, ensure that you allow yourself personal time. Make decisions on what you are comfortable outsourcing and what you only feel comfortable doing yourself. Set boundaries for yourself which will limit how much work time you allow yourself to attend to personal matters. This way, when you are not at work, you will be able to really focus on family or friends. The time clock is often one of those unnoticed, yet important components of a work environment. Employees get used to the system after a short while and the clock becomes part of the daily routine for many workers. However, great car must be made when changing the time clock routine, as the slightest changes to this procedure can wreak havoc on morale, accounting systems, and the overall effectiveness of the human resources department. There are a few steps that will help make the transition from one protocol to another efficient as well as avoid upsetting and interrupting employees and the work cycle. If changing the clock entirely, meet and discuss the new system with that company’s representatives. Show them your old system in detail so that the rep will better understand what you are up against in terms of clock protocol changes. Often, new systems are so similar to the old ones that very little discussion is needed, and extremely similar time clock systems may require little employee training. 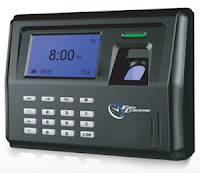 However, most time clock protocol change calls for at least some employee orientation, management meetings, and a written notice of the new policies. Understandably, workers are extremely sensitive to mistakes in their paychecks. 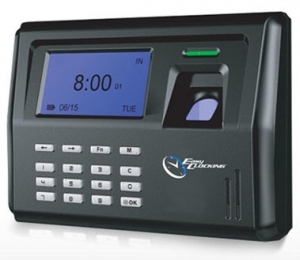 Be certain that even small changes in time clock protocol are explained to employees. For example, something as seemingly insignificant as switching to or from military time can seriously affect paycheck disbursement and cause confusion. So be clear about changes and outline everything, no matter how small it seems. A good deal of the work on management’s part has to do with what the employees are used to. If they typically clock in when they arrive and leave, then asking everyone to, additionally, clock in and out for short breaks is a huge change. Be sure to build in a transition period for implementation of fresh protocols. If possible, put on a demonstration so that every one of the company’s workers can attend a live session or meeting to have the new device demonstrated and the new procedure outlined in detail. Let everyone have a try at using the new clocks during the demo session and answer questions there. By following these steps, you can minimize confusion over the new device and trouble shoot more effectively with the one or two people who may be lost. Keeping employees informed helps morale and will also help avoid major work interruptions when a new time clock is put in place.